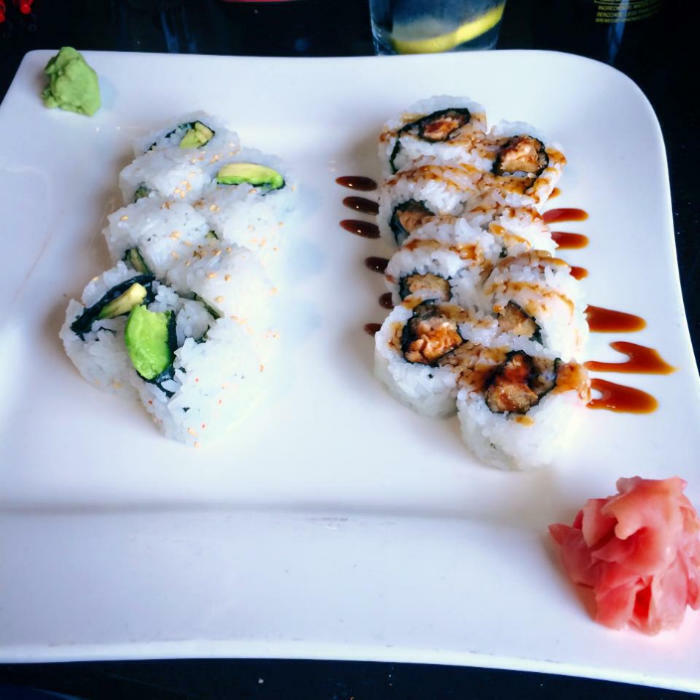 It takes a special kind of person to enjoy eating raw fish. As a self-proclaimed sushi lover, I have spent the last four years of my time in Des Moines trying to find the best spot in town. Although Des Moines isn’t located next to an ocean, I discovered I am still able to get my sushi fix. After tagging along with a friend for dinner I discovered my favorite spot in Des Moines, Sakari Sushi. 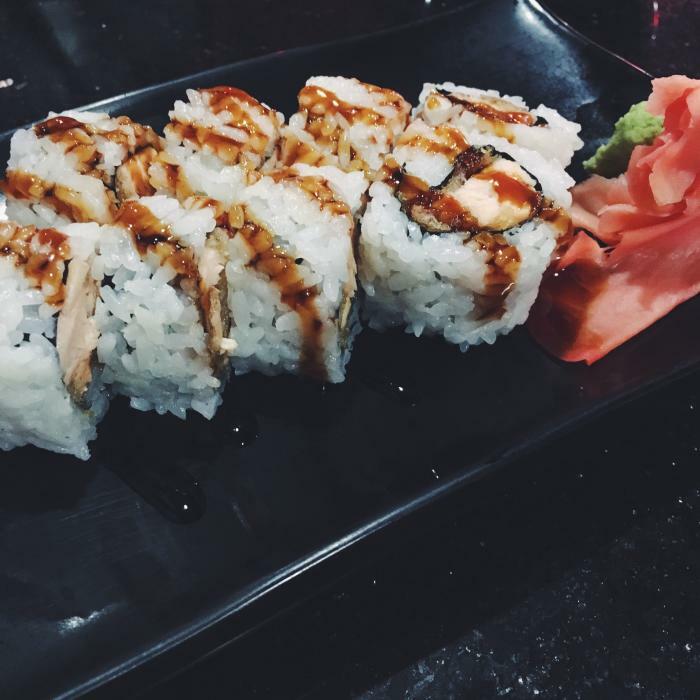 Located just a short drive from Drake’s campus, Sakari is the perfect place to grab a roll or quick lunch when I’m not feeling up to cooking. Being a typical college student, I am a fan of any sort of deal so Sakari’s happy hour special is a hit in my book. Monday through Thursday from 5-7 p.m. they offer discounts on all house rolls and specialty drinks. On other nights the menu still has plenty of options that are reasonably priced for people trying to stay on a budget. Working in Downtown Des Moines this summer Sakari also was a popular choice with me and my co-workers looking for a quick bite during the lunch hour. Sakari’s bento box is a great option if you have a craving for a little bit of everything as it consists of teriaki, a sushi roll, shrimp and house salad. As a wannabe foodie, I love to get others to try out new places with me so for my less adventurous friends this was a great option to get their first taste of sushi. My go-to roll is a basic avocado roll, which is a great option for those looking to stay on the healthier side. When I’m feeling a little more adventurous their specialty Marty Da Party Roll is a tasty surprise for your taste buds with crab, cream cheese, mangos, cucumber, topped with salmon and avocado and drizzled with spicy mayo and unagi sauce. Their Iowa Surf and Turf roll is an ode to all things Iowa topped with ribeye steak and everyone’s favorite-BACON! Pair a roll with one of Sakari’s specialty drinks or Japan’s famous Kirin beer and you have the perfect meal. Try a sake bomb if you’re feeling a little wild. Other great places I like to grab sushi when Downtown Des Moines are Wasabi Tao, Blu Thai and Miyabi 9. 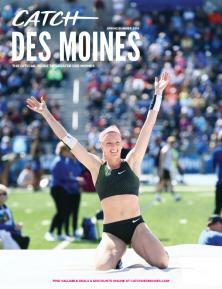 Iowa native. Running enthusiast. Wannabe foodie. Travel obsessed. College senior living in Des Moines.